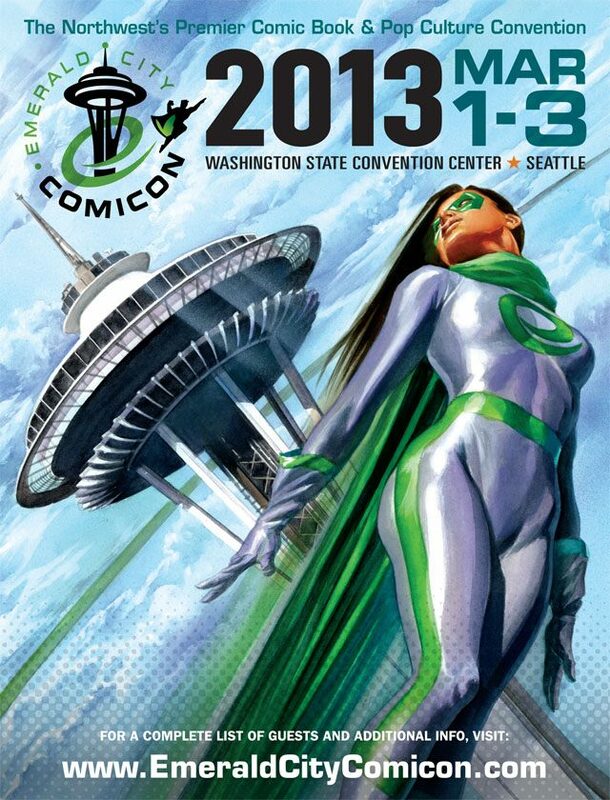 The ECCC (that’s a lot of C’s…) has pretty quickly become one of the Pacific Northwest’s biggest pop culture shows. The event is only getting bigger too, so of course Dark Horse Comics would be there. The publisher is arriving at the venue fully loaded too with signings and giveaways aplenty. *Free limited-edition 11″ x 17″ print of The Forge Machine for first 50 people in line. *Free limited-edition 11″ x 17″ print of The Massive 3-in-1 cover and The Massive #7 for first 50 people in line. Just a little piece of advice here- as is true with all of these shows, if you want the good stuff, ARRIVE EARLY. The ECCC runs from March first (that’s this Friday) through Sunday the third.